HYDERABAD: Hyderabadi cuisine has a variety of scrumptious snacks, and Lukhmi, the flaky savoury stuffed with spicy minced meat is definitely one of them. A popular starter at Hyderabadi marriages, this dish also works well for a quick pairing with tea over an adda with friends. The name lukhmi originates from the word luqma, which means a small bite in Urdu. 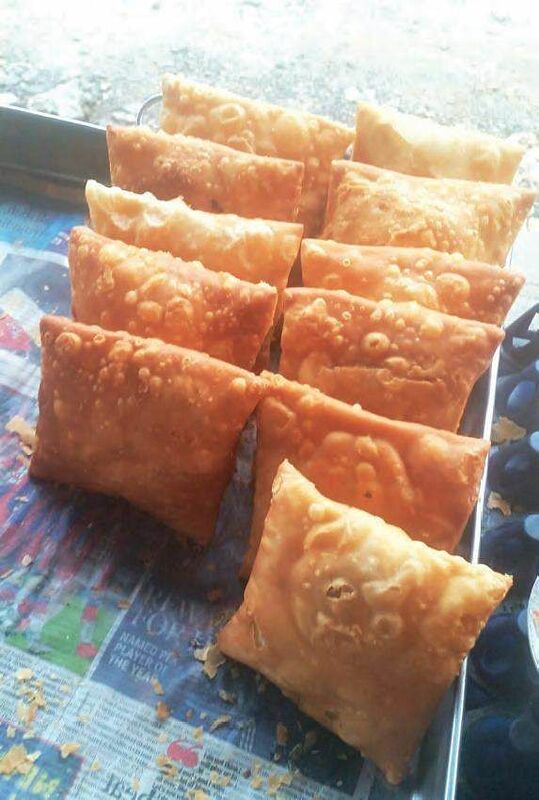 Unlike the samosa, lukhmi is usually a flat square shaped flour parcel with a flaky and crisp upper crust and stuffed with beef or mutton-based filling. You have the snack in other shapes like triangles in some cafes and a vegetarian version mostly with a potato filling is also available . It is usually served with chopped onions and green chillies, though some discerning persons prefer having it with kebabs as a side. To prepare lukhmi, wheat flour is kneaded with yoghurt, butter and a little water. The mince or vegetarian filling is cooked separately, with turmeric, onions, ginger, garlic and spices. After resting, the dough is rolled out into a huge rectangular roti. Multiple mince pockets are stuffed on the rolled dough, and the whole thing is covered by another large roti. Finally, this is cut into multiple small squares each housing a kheema pocket. The edges are closed by pressing them often with a fork, and the stuffed parcel is deep fryed in oil. As the colour of the patty changes to golden while frying, the lukhmi is ready for consumption. In another method, small flour pockets are stuffed with fillings and sealed before frying. The snack had lost some of its popularity over several decades, as many places in the old city stopped serving it. However, it has made a comeback of sorts in the last few years with an increased interest in lost Hyderabadi recipes. 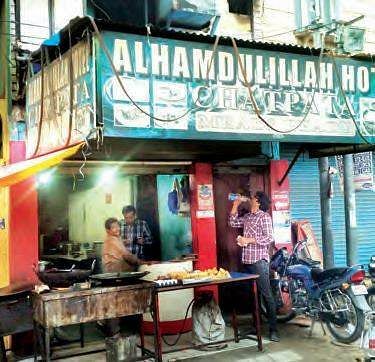 Alpha Hotel, Paradise and Rio are some places in Secunderabad whose lukhmis are sought after, while Shahran, Shadab and Nayaab near Charminar are popular for their mutton versions.